Under the Rent Stabilization Code and NYC Housing Maintenance Code, landlords of rent-stabilized apartments must paint or cover the walls and ceilings of the apartment at least every three years. If a landlord violates this rule it may entitle the tenant to rent abatement. In order to fully understand this issue, it is important to understand the statutory schemes relevant to this discussion. The New York City Housing Maintenance Code (HMC) establishes the minimum standards for health and safety, fire protection, light and ventilation, cleanliness, repair and maintenance, and occupancy in residential dwellings in New York City. This code is administered by the NYC Department of Housing Preservation and Development (HPD), which often turns to the New York City Housing Court in cases where HMC provisions are not being fulfilled. In such cases it brings what is known as a Housing Part (HP) action. In addition to the HMC code which applies broadly, the New York State Division of Housing and Community Renewal (DHCR) issued special laws and procedures known as the Rent Stabilization Code (RSC) to rent stabilized apartments. The DHCR also issued another set of regulations specific to rent controlled apartments that are known as the New York City Rent and Eviction Regulations. every three years, or more often when required by contract. This period may be extended to five years provided that (i) the extension is agreed to at least one month before the expiration of the three year period; and (ii) that this is not part of the lease agreement. RSC regulations also forbid landlords from charging a painting deposit or demanding that they contribute to the cost of the painting. 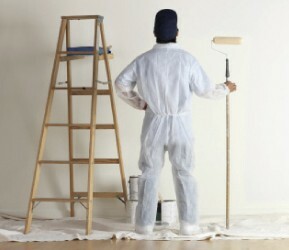 There is an exception if the tenant consents in writing to pay for painting services which are not required by law. In one recent case, Canada Leasing Corp. v. Janeill, the court awarded a 5% abatement because the landlord failed to paint a bathroom ceiling. A tenant can bring an HP action in court to induce landlord compliance with the HMC. The HMC requires landlords to maintain records showing when the apartment was last painted or covered and who performed the work and HPD may compel landlords to submit these records. The laws for rent-controlled apartments are somewhat different. Although a landlord is still required to paint the apartment every three years pursuant to the HMC, it is not required under The Rent and Eviction Regulations (the laws governing rent controlled apartments). Accordingly, DHCR cannot order a rent reduction based upon a failure to paint. However, if the landlord’s own prior practice or the lease establishes that painting is an essential service for the rent-controlled apartment, the tenant may apply for a rent reduction based upon decreased service. the courts have decided in Laren v. Chakranarayan that a landlord may not maintain a Small Claims action in order to recover these costs. Although not always demanded by tenants, under the law, a landlord must paint or cover a rent stabilized or rent controlled apartment at least once every three years. For rent controlled apartments, the landlord may apply to the DHCR to recover the costs of the painting by means of increasing the monthly rent by 1/40th of the cost incurred. ← Last Rites for the Four-Year Rule?